Really, it's a bit cheeky but certainly on brand. If you're a Christian, then you want nothing more than to believe your romantic partner has been ordained by none other than the holiness himself/herself. 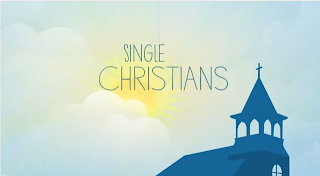 So it a wry move on the part of Christian Mingle to invoke the Lord's endorsement...or at least the imply that matches at its site are nothing short of just that.